Indexing of the 1940 Census is going faster than I had expected, but it still is not fast enough. God give us patience and hurry up about it! 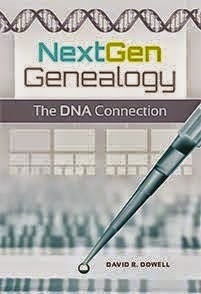 Ancestry claims the next batch of states will include "AK, AR, ID, MA, MN, MO, NM, ND, OK, RI, SD, UT". Ancestry also also offers the opportunity to signup to be notified when specific states have name indexes available to be searched. Several states including Arkansas and Missouri appear on the verge of having their name indexes go live at FamilySearch. Texas, West Virginia and Pennsylvania may not be far behind. Later this summer HeritageQuest plans to start rolling out its version of this census. However, for the foreseeable future, anyone researching my wife's family in Chicago will have to rely on location searching using the helpful 1-Step guides prepared by Joel Weintraub and Steve Morse which have been discussed previously on this blog. So will any of you who are researching the Carolinas, Connecticut, Massachusetts and New Jersey. With better family planning we would not have allowed our families to live in these states in 1940. In any case I expect all these states to be available long before my original expectation of the end of 2012. The friendly competition between the two indexing teams has been a great service to all of us. Thank you volunteers and paid employees alike who have caused this mammoth project to move along so quickly. Labels: 1940 US Census, Ancestry.com, FamilySearch, HeritageQuest, Name Index., Steve Morse. Joel Weintraub.